Over the past few years, one of the most common questions we get asked is, “How do I open a medical marijuana dispensary?” In this article we will give you a broad understanding of what is involved to open a medical marijuana dispensary in California. Most of this information will cross-over into other states as well; however for the sake of this article, we are specifically referencing California. Learning how to open a medical marijuana dispensary isn’t too hard to do; there are some basic steps involved. The first step to opening a medical marijuana dispensary is to figure out if it is even allowed in the city or county you want. After the passing of MCRSA (Medical Cannabis Regulation & Safety Act) many municipalities opted to temporarily ban all cannabis businesses from operating in their jurisdiction. The reason for this was because, initially, the MCRSA had language that required the local government to have regulations on their books before March 1, 2016. This language was later removed because the effect it had was not intended by the legislature. It was a blessing and a curse because while many did opt to ban, it started the conversation of why and how regulation should happen. Many places would not even engage in such a conversation before MCRSA passed. CRC (Cannabis Research Consultants) has compiled a list of data that shows what areas in California have regulated cannabis businesses. 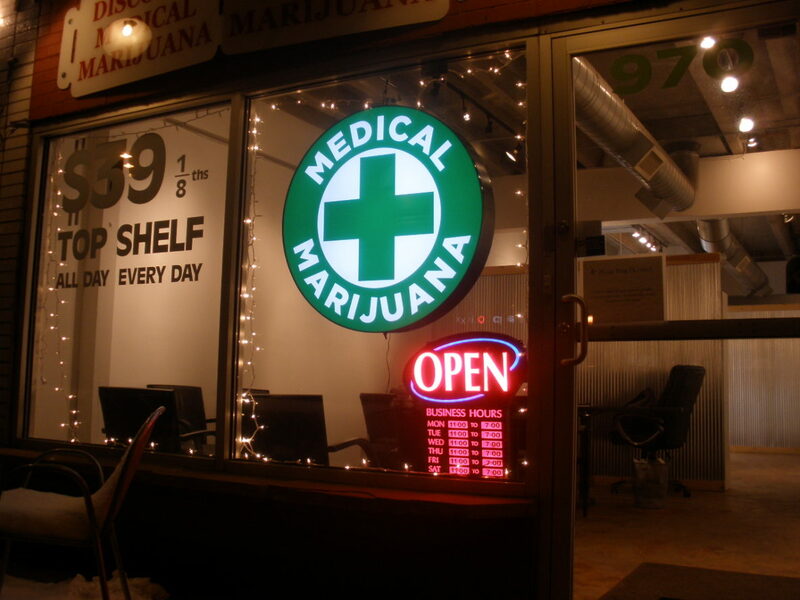 CRC offers assitance in finding the right place to open a medical marijuana dispensary. Along with the right area, you will need to figure out the specifics of the regulations. For example, in many cities they only allow certain zones for specific cannabis businesses. We’ve seen it happen many times where an entrepreneur invests in a property that ultimately cannot be used because it does not meet the ordinance requirements. Make sure you do your homework and/or hire someone like us to assist with this process. According to MCRSA you will be required to have obtained a local permit to operate prior to applying for a State license. Therefore the first step is understanding your local ordinance before making any moves. As it currently stands, the MCRSA plans to begin implementing it’s program by January 1, 2018. This will be when folks can begin to apply for a State license (again only if they have obtained a local permit). There a many details being worked out at the State level now, the bulk of the regulation detail is going to be figured out in 2017. CRC will be involved in this process to influence the policy in a way that is best for the industry. It’s important to note, if you are interested in opening a medical marijuana dispensary you will be applying for a Type 10 or Type 10A State license. A Type 10 license is considered a ‘general’ dispensary license which means you will only be allowed to run dispensaries and no other operations (e.g. cultivation, manufacturing, distribution). This license is for those who just want to have as many dispensaries around the State as possible. A Type 10A is good for “up to three retail sites” throughout California. This means if you want to open a medical marijuana dispensary you will only be allowed to have a total of 3 within the State. However, you will also be able to have a cultivation and manufacturing license along with the Type 10A. These details make the Type 10A a great license for those that are interested in vertical integration (having control over every process involved from growing, extraction to retail). Each city and county will have slightly different requirements to open a medical marijuana dispensary. That being said, more often than not, the requirements tend to be very similar if not identical. Again this list is an example of what to expect when trying to open a medical marijuana dispensary and it is not the end all, be all list. If you’re feeling overwhelmed or just want the right people on your team to assist you with all of this, please contact us today. CRC is here to essentially be the Chief Compliance Officer for your business, focus on what you do best and we will focus on what we do best. Additionally we can help with business management as well, accounting, payroll, insurance, architects, equipment etc.